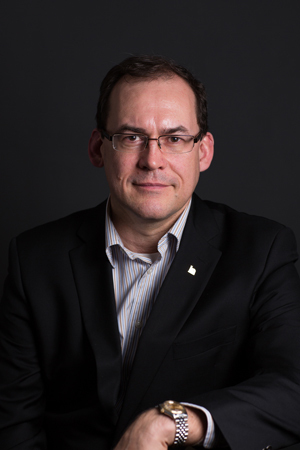 Simon d'Entremont is Deputy Minister of the Nova Scotia Department of Seniors. Prior to this appointment, Simon was the Deputy Minister of Economic and Rural Development and Tourism. Previous to that, Simon worked for the Federal Government for 17 years. He was the Regional Director General, Atlantic for Health Canada; the Regional Director, Policy and Communications, for Industry Canada, Atlantic Region; and the Manager of the Canada-Nova Scotia Infrastructure Program with the Atlantic Canada Opportunities Agency (ACOA). His first position with the federal government was with ACOA as the Account Manager responsible for Southwest Nova Scotia, and located in Yarmouth, Nova Scotia. Simon began his career as a stockbroker with the investment firm, Scotia MacLeod Inc. He holds a Bachelor of Education from l'Université Ste-Anne and a Bachelor of Business Administration, major in Finance, from Acadia University. He has previously been on the board of directors of Nova Scotia Business Inc.; Innovacorp; Trade Centre Limited; Nova Scotia Tourism Agency; Film and Creative Industries Nova Scotia; and Waterfront Development Corporation Ltd.
Simon is married with two children. His hobbies include playing guitar, motorcycling, astronomy, and wildlife photography.